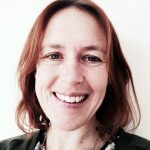 Charlotte in a Natural Health Practitioner who works within the structure of the Health Kinesiology framework incorporating other therapies and tools when they come up as needed. This includes nutrition, body work, supplements, exercises, meditation & visualisations, changing habits, flower remedies and more. Charlotte comes from a professional background where she worked for entrepreneurs in technology and sustainability. Her exploration into energy based therapies accelerated when her son was born with a disability requiring immediate and ongoing medical treatment. She completed her training in DORN in 2012 and in Health Kinesiology in 2017. She is an Associate member of the Kinesiology Federation and registered with the Federation of Holistic Therapies. “I work as a translator for the body. I use muscle testing to ask the body “What do you need?” and then I offer a menu of options.” It is holistic, targeted and gentle – the body only chooses what it can handle, in the order it needs and as much as it needs. It is suitable for all ages and stages of life. Each case is bespoke and unique – and in a world where there are so many ideas about how to live healthy and be well, it can be very helpful to narrow down the options to what is really needed and beneficial for you, in what quantity and how long it is needed for in order to feel healthy and achieve your goals. Note: These are personal experiences – everyone responds differently to Health Kinesiology.